Efflorescence is often mistaken for mold but the two are really very different things. They may look similar but that is where the similarities end. You need to know which one you have in your home so that you know the best way to deal with it. Different techniques are used to remove them from household materials. Mold, as you probably know, is a type of fungus. It is commonly found in damp places and can cause significant damage to your home. It can also cause serious health problems. 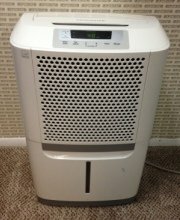 There are many different strains of mold and it comes in a rainbow of colors. It's a chalky white powder sometimes found on porous materials like concrete and brick. It consists of salt deposits that remain on the surface of these materials when water – mostly groundwater but sometimes also rain water – evaporates. 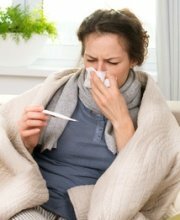 Unlike mold, it's not harmful to the materials on which it's found and it won't make you sick. It is mostly a cosmetic issue, but it can also sometimes indicate excessive moisture, which can be problematic. Excessive moisture can lead to mold growth and can also damage building materials. Efflorescence dissolves in water, while mold does not. If rubbed between your fingers, efflorescence turns powdery. Mold does not. Mold can be any color, but is often black or gray. Efflorescence, on the other hand, is almost always white or yellow. While mold can be these colors, you know you are not looking at efflorescence if it is black, gray, green, blue, or pink. 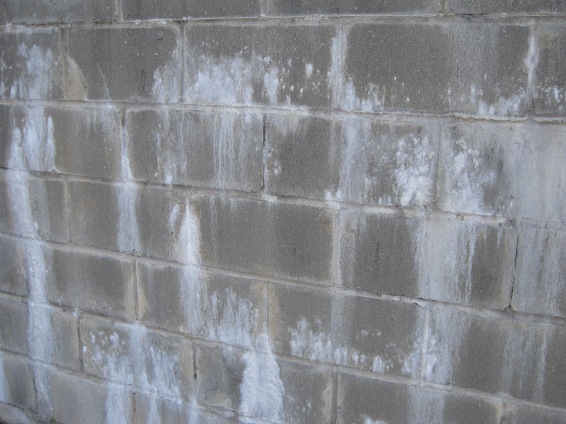 Efflorescence develops on inorganic building materials, like concrete and brick. 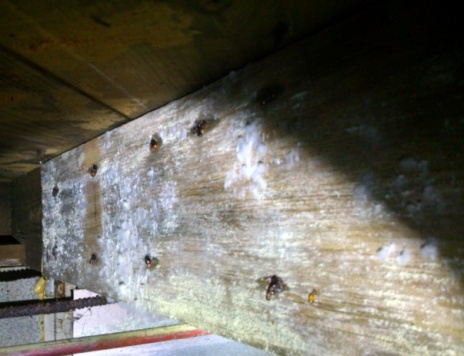 Mold, on the other hand, grows on organic materials, such as wood. 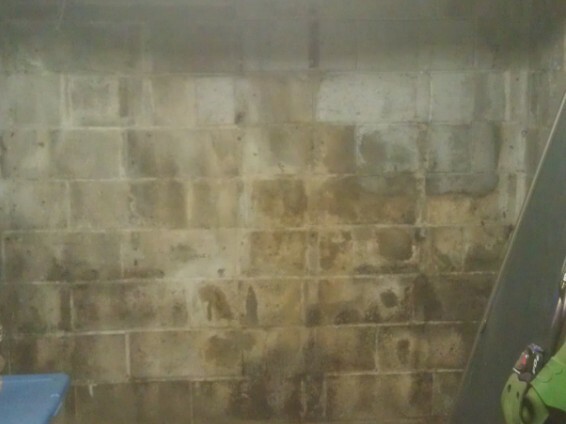 Sometimes you will see mold on things like concrete or brick because it can grow and feed on dirt or other organic substances on those surfaces. You won't find efflorescence on organic materials like wood, however. Efflorescence is easier to remove than mold. While it is difficult or impossible to remove mold from porous materials, efflorescence is much easier to remove. A pressure washer is sometimes used to remove it from the exterior of homes, but this isn't always effective. It may appear to take care of the problem temporarily but once the damp surface dries, the salt deposits may appear again. A diluted acid, such as muriatic acid, can be used, though the surface should be dampened with water first to prevent discoloration due to the acid. The International Association of Certified Home Inspectors recommends applying baking soda after the acid to neutralize the acid and prevent it from damaging the masonry. Often, efflorescence can simply be scrubbed off a surface with a stiff brush. Water is not always needed to remove it. If you have questions about the best way to remove efflorescence from a surface in your home, we suggest contacting the manufacturer of your home or consulting a professional. 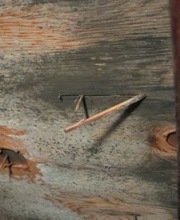 That way you can make sure you don't inadvertently damage the masonry or other materials in your home. Note that the methods described here won't remove mold. Mold is more challenging to deal with and, because it can cause serious damage to your home and make you sick, it's important to remove mold quickly and completely. Therefore it's important to make sure you know whether you're dealing with efflorescence or mold. If you're not certain whether you're dealing with mold or efflorescence, we suggest scheduling a free home inspection and consultation with a mold removal professional. 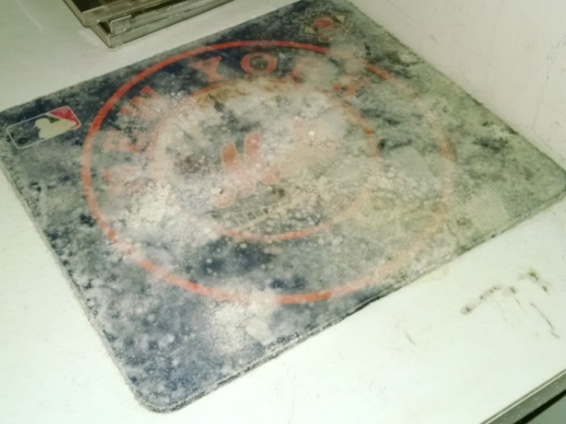 You could have a professional come in and test the substance in question for mold instead, but that's probably not necessary and you can save yourself the expense. An experienced mold removal professional should be able to distinguish between mold and efflorescence and the inspection is free. If it turns out the substance in your home is mold, the professional can advise you about the mold removal process. You'll also receive a written estimate for the cost of the job and the professional can help you determine whether or not your homeowner's insurance will cover the cost. The consultation is free, though, and there is no obligation on your part. Follow this link to find experienced mold removal professionals offering free consultations and home inspections in your area.